Elgin industrial electrical contractor has serviced and repaired industrial companies in warehouse, food & beverage, logistics, retail and more. 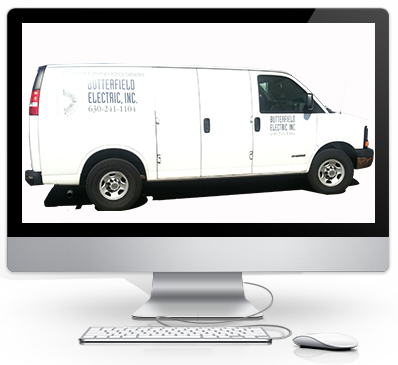 Butterfield Electric understands what it takes to deliver results right the first time. Industrial electrical services by Butterfield Electric work together with commercial and industrial companies in Schaumburg focusing on key operational projects such as electrical retrofits, electrical upgrades and electrical systems in new construction projects. As many companies move to larger locations or downsize to maximize their operational profits, Butterfield Electric has the experience to help relocate your entire company or just the facility’s electrical system. Our experience has taught us efficiency and streamlined operations in order to make your transition seamless. Learn more about our industrial electrical services. Low and medium voltage electrical systems are most often needed within the facility for projects such as voltage switches, panelboards, and conduit installations. For other Elgin companies, low voltage projects typically include CCTV, fiber optics, automation project and fire alarms. Regardless if you need low voltage and/or medium voltage systems, Butterfield Electric knows how to keep your company safe and your operation up and running. Learn more about low voltage service projects. Installing, maintaining and upgrading LED lighting, specialty lighting, exterior lighting or other interior lighting by a licensed and experienced company such as Butterfield Electric ensures that you get the best quality workmanship found in the marketplace today. We take the time to analyze your industrial lighting project and commercial lighting project to gain a thorough understanding of your office or facility and create a detailed design that is cost effective, energy efficient and takes advantage of rebates. Get more information on Butterfield Electric's industrial lighting services. Butterfield Electric has extensive experience and talented staff to handle any of your material handling projects in Elgin. We project manage the entire material handling process from concept development through design, specification and engineering. Our Elgin electricians experienced in material handling ensures maximum productivity delivered on every project. Learn more about our extensive material handling services. Butterfield Electric is a UL508A certified control panel design and fabrication specialist in for industry in Elgin. We have seasoned professionals in mechanical and electrical systems working to maintain your conveyor lines and production lines fully operational. Our skilled fabrication specialists and electricians design the control panel, schematics, manufacture and quality control test all aspects of the control panel. Our company performs PLC programming, ensuring the quality control panel solution for your facility. Learn more about our control panel design, fabrication services. Industrial ovens, heat transfers, industrial freezers and more are installed, maintained and serviced by skilled electrician in industrial equipment. Our electricians also install, maintain and repair electrical power and wiring systems for various industries including food, beverage, manufacturing, electronics and more. Get more information about our electrical services on your industrial equipment.